Dualling the existing A6 road from Castledawson to Dungiven. Mar 2005 - Government announces pilot study to select route. Construction of this section unlikely before 2015. After the A1 Belfast to Dublin road, the A6 Belfast to Londonderry (or Derry) route is the second most important route in Northern Ireland. The route varies in quality - beginning as the M2 at Belfast, becoming the M22, then a partially-completed dual-carriageway from here to Castledawson (see links above). After this it reverts to a single-carriageway with occasional overtaking lanes. 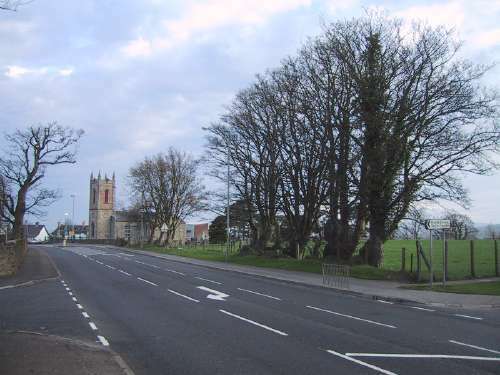 The route takes it across the flat countryside of south Derry, up and over the Sperrin mountains at Glenshane Pass, through Dungiven, past Claudy and arriving at the south eastern side of Londonderry city. There has been much pressure from politicans and businesses in the north west to have these remaining 60km upgraded to dual-carriageway. In December 2005, it was announced that the section from Dungiven to Derry (including a Dungiven Bypass) would be dualled by 2015 (see links above). This amounts to about half of the distance between Castledawson and Derry. This leaves the least-trafficked section from Castledawson over the Glenshane Pass to Dungiven with no firm dualling plan. It is unlikely that this will be dualled before 2015, although it is likely that more overtaking lanes will be constructed before then. The degree of political pressure from the North West may well have the greatest impact on the timetable for this scheme. A note on costs: In spring 2005 the Dept for Regional Development announced that the cost of dualling the entire A6 from Castledawson to Derry had been estimated at £420m. The cost for the Dungiven to Londonderry scheme alone was given as £250m in December 2005. This leaves £170m for the Glenshane Pass section. It seems unlikely to me that it could be built this cheaply, particularly over such challenging terrain, so I have guess-timated £200m to £300m above. This page formerly held information on the entire Castledawson to Londonderry route, but has been reduced in scope since the announcement of the Dungiven to Derry scheme (see links above).